"Brand new single family home with spectacular view of the bay. A walk to the park and bay shore is only two houses away. This Tides Residence 3 model has tons of upgrades including hardwood floor, recessed lights, crown molding, 220V ready in garage, pre-plumbing for water softener, TV/Internet Cables ready, concrete works in backyard and side yards, and more. Easy access to Ranch 99 Market, HWY 84, Dumbarton Bridge, Frwy 880, and high tech companies in Silicon Valley." "Welcome Home! This 3 bedroom, 2 bath charmer features a living room with its cozy decor and handsome fireplace, sunny & open country kitchen, and generous front and back yards. Great location proximity to Tesla, Facebook, Dumbarton Corridor and other major tech hubs, Fremont BART Station, and accessibility via Freeways 880, 580, 680, and easy access to the 101 Freeway. Newark is located 35 miles south of San Francisco, 30 miles south of Oakland, 20 miles north of San Jose. Great area schools, Musick Elementary, Newark Jr. High, and Newark Memorial High School. If you're tired of city hassles but love the convenience, you will appreciate this comfortable home with its country comfort." "Completely Remodeled 4 Bedroom 2 Bath Classic Newark 1829 sqft Home With Modern Finishes On Large Lot!! This House is Currently Permitted as a 4 Bed 2 Bath Home. Easily Convert A Portion of The Oversized Garage Into Another Bedroom, Office Or Workshop. This Beautifully Remodeled Home is Located On A Very Desirable Area in Newark Walking Distance To Great Schools and Great Parks. This Completely Remodeled Home Features: New Granite Counter Tops in Kitchen, New White Shaker Kitchen Cabinets, Stainless Steel Appliances, New Bathroom Vanities, New Tile Showers, New Flooring Throughout, Designer Paint inside & Out, New Plumbing Fixtures Throughout, New Lighting Fixtures Throughout, Newly Landscaped, Great Backyard To Start A Garden, Giant Family Room and Much More. Come View This Move-In Ready Home Today & Start Calling It Home Tomorrow!" "The Banks at Bayshore popular Residence 3 is hitting the market! This beautifully updated corner home location comes with much detail to the finishes. Upgraded Dove color cabinets pair well with the quartz countertops and hardwood floors. Friends and family will enjoy the open floor plan, along with a seperate loft on the top floor. Front door faces NORTH WEST. Least expensive Single Family Home with 4 beds and Loft, built within last 10 years. Bayshore's homeowners enjoy a host of community amenities from parks and hiking trails to tot lots and a private clubhouse. Residents also have the advantage of a commuter-friendly location across the Dumbarton Bridge from Palo Alto and near I-880, both main thoroughfares to major employment centers." "5 Bedrooms 4 Baths to be fits for many family member house or investment. Addition 2 bedrooms have separate enterance. 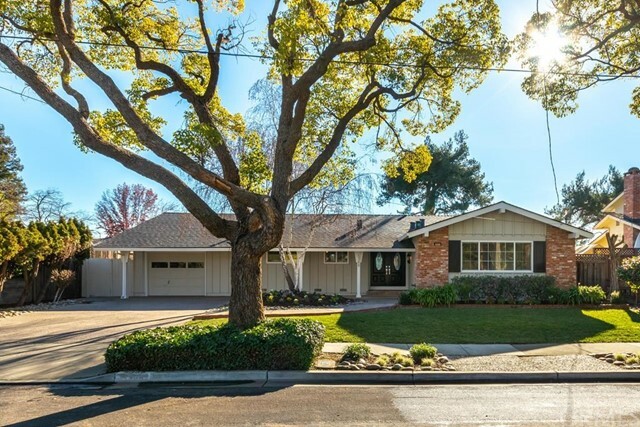 Just minutes away from Facebook, Google & Tesla, Close to Dumbarton Bridge, Hwy 880, and BART. Easy access to Newpark Mall and many restaurants. No for Sale Post ." "Bright & beautiful move-in-ready home in quiet, private location. Ample windows bring lots of natural light to an inviting living room & formal dining area. Gather around the island in the open kitchen to enjoy your get togethers. Entertainment-friendly plan boasts of family room overlooking kitchen & breakfast area. Spacious bedrooms upstairs have vaulted ceilings & mirrored closet doors. Master suite has walk-in closet, sun-drenched separate vanity area with overhead skylight & dual sink vanities. Freshly painted, newer appliances, Nest thermostat, recessed lights, updated bathrooms, & updated kitchen with gas cooktop. Delightful warp-around yard with lemon, orange, & apricot trees. Minutes to movie theaters, restaurants, & shopping at New Park Mall & Pacific Commons. Close to Costco, Walmart, Fry's Electronics, Tesla, & Facebook offices in Fremont. Walking distance to groceries. Shuttle buses to Facebook, Google & Apple from the neighborhood. Close to BART & freeways 680, 880, & 84"
"Welcome to your beautiful Prima community town home built by DR Horton in 2016. This floor plan is the Milan plan 3 with 3 master suites, each with their own bathroom, PLUS an additional 1/2 bath for guests. Enjoy the bright open concept main floor with gourmet kitchen, granite countertops, chef's island and stainless steel appliances. Entertain right off the kitchen under your large covered balcony. One bedroom and full bathroom on the ground level. Pull up right into your attached 2-car side by side garage. Walking distance to shopping, theaters, grocery stores, restaurants, parks and schools. Easy access to the Facebook Fremont campus, 880/92/84 and BART." "SELLER WANTS TO MOVE! MAKE AN OFFER AND MAKE THIS YOUR NEW HOME!! This lovely corner lot home with 4 bedrooms and 3 full baths! At last appraisal, home measured a huge 1,600 sq ft of living space with a gorgeous remodeled gorgeous kitchen and baths, new tile floors and Luxury Plank Flooring with lifetime guarantee!! New Water heater! Huge 4th bedroom upstairs can be a master suite, teen hang out or possible rental?! Backyard with new sod and BBQ island ready for your BBQ! Close to Challenger School and Snow Elementary School. Easy access to South Bay and East Bay companies! Close to FACEBOOK and NEW Google campus, Apple Campus, Intel, Cisco!! Convenient access to all major freeways and all 3 Bay Area airports. Literally located in the heart of the bay!" "Cute and cozy 3 Bedrooms and 2 full baths in ultra convenient area of Newark with many upgrades. Close to Frwy 84/92/880, high tech companies, shopping, restaurants, parks and schools. House features all new kitchen w/white shaker cabinets, Carrara marble counter and backsplash, stainless appliances, 12x24 floor tiles. All new hall bath and master bath w/custom tiling. New custom paint in and out. All new dual pane windows. Refinished hardwood floor. Walk across the street to school. Plenty of yard space for children to play." "Two Story Home / 3 Bedrooms / 2.5 Bathrooms / 1,798 Sq Ft / 4.050 Lot Sq ft"
"Bright & modern single story home located on a quiet non-through street. It has been completely re-imagined & updated throughout with an open concept layout, 3 beds, 2 baths, updated kitchen, 5-burner gas range, polished quartz counters & stainless appliances. Ideal access to the spacious backyard provides for a quintessential California lifestyle filled with dinners and BBQs with family & friends! Beautiful upgrades include new roof, tankless water heater, furnace, plumbing, flooring, electrical, light fixtures, dual pane windows, fresh paint inside/outside & driveway. A large finished 2-car garage with utility sink, huge side yard with double gate for RV/trailer, ample off street parking make this home perfect for everyone. Over-sized lot for kids, gardening, or anything you can imagine. Hop & skip away from Dumbarton bridge, 880, shopping at Newpark Mall, walk to schools. Easy south bay commute to Facebook & all the tech companies. This is an amazing home & ready to be yours!" "This beautiful warm house awaits you! Well maintained 3 bedrooms, 2 baths open layout home has lustrous hardwood floors, a recently updated kitchen, and fresh paint. With easy access to 880 and 84, nearby great schools, Lakeshore Park and Coyote Hills - everything is close by. Beautifully landscaped drought tolerant front yard and solar panels reduce the carbon-footprint of this lovely home." "This spacious 3 bedroom, 2 bath home is ready to move in! New 200 amp main electrical panel. Updated copper pipes. 4 ABS sewer lateral. Updated eat in kitchen with stainless steel appliances, granite counters and plenty of cabinets. 312 sq. ft. bonus room/family room in rear. Legality not warranted by Seller. Living room with fireplace. Master bedroom and bath. Low maintenance yard with gourmet kitchen that is perfect for outdoor entertaining. Additional storage in yard. New 50 year composition roof. Situated on a large lot with plenty of space for RV/Boat parking. Convenient location. Minutes to Dumbarton Bridge, Facebook, Stanford and Google campuses." "Charming, Newark home. Three bedrooms with one bath. Upgraded kitchen and bath. Kitchen has top of the line, Jen - air appliances. Drive through one car garage that opens into a two car garage with power, added with permits. Home shows beautifully. Private front yard and private backyard with detached she or he shed. Roof is pitched, unlike other Newark homes of this vintage." "Like a Single Family Home with a good size back yard, 2-Car attached garage and a 2-car driveway! Central Bay Area location close to 84 & 880, Bart station 2 freeway exits away. Upstairs Balcony in the Master Bedroom and laundry room with cabinets on the ground floor. OPEN Sat Apr 13 2019 2-4:30." "Very clean long term rental being sold as part of an estate sale. Attorney is involved but Court confirmation may be averted. Tenant has moved out and left the home clean. Large master bedroom with bath having two sinks and separate room for shower and toilet. Private location near the rear of the complex but close to pool and club house. Laminate flooring upstairs and down. Washer and dryer included. End unit with open space outside front door. 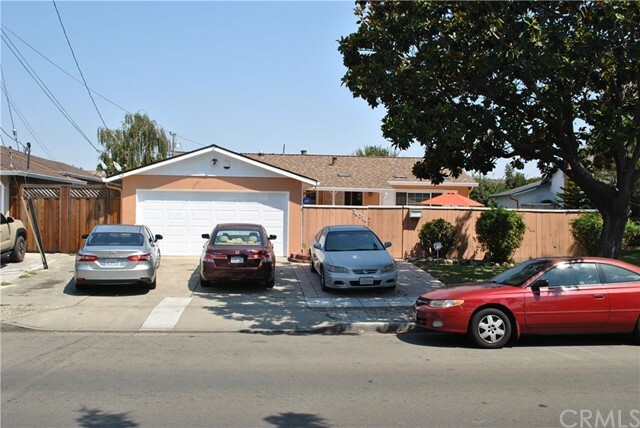 Detached one-car garage with adjacent assigned parking space just a few steps away from the rear patio. Competitively priced to sell. Arrange your viewing now." "Pride of ownership - Gated Development-Gorgeous Bright unit, airy, lots of light and open flow with view, suitated on the 2nd level - conveniently located close to Stevenson and Mowry with easy access to HWY 880 and Dumbarton bridge and BART, close to all amenities - great development - Guest Intercom-inside laundry- beautiful garden areas -2 pools - Jacuzzi -Sauna- 1 Sports rm (Gym) - 2 Club houses for gatherings - 2 covered carport -Guest parking near Bldg 39931- building has elevator - unit close to elevator - HOA covers building insurance, water and garbage-you will love this unit open- house Sat and Sunday 4/6 and 4/7 (1-4 pm)"